This time of year it’s inevitable – we’ll likely need to brace ourselves for a winter storm or two. When the wind howls and Old Man Winter kicks up a blizzard, you might find yourself facing some unpleasant situations. The best thing you can do is prepare yourself for winter weather in advance, so that you’re ready for whatever weather comes your way – and you’re able to keep you and your family safe and sound. The American Red Cross offers some tips that can help you stay safe in the face of harsh winter weather. First of all, assemble an emergency preparedness kit that contains items that can help you weather the storm. Plenty of water, non-perishable food items, a flashlight, a battery operated radio, and a first aid kit are all essentials for any kit. You may also want to have extra cash on hand, a toolbox with the essentials, and at least a week’s supply of any medications you may need. If there are infants in the house, make sure you’re stocked up on diapers and formula, and if you have pets, have pet food and extra water on hand for them, too. Keep your pets in mind. If you have pets, you’ll want to keep them indoors. If the outdoor weather is inclement, you may have to resign yourself to the fact that they’ll have to do their business indoors, too. Have extra cleaning products like disinfectant spray and paper towels on hand, as well as plastic bags for any waste. Make sure you’re stocked up on cat litter – in the winter, it’s not a bad idea to keep an extra bag of the non-clumping variety in the trunk of your vehicle anyway, because it can help your tires gain traction if you get stuck. You also may want to prepare for a power outage, as can sometimes occur in severe winter weather. Keep extra blankets on hand, as well as sweaters, sweatshirts and pants, thermal underwear, heavy socks, and even hats and gloves. If the power goes out, gather the family in one room to maximize body heat for warmth. You might even want to consider having some active fun, like dancing or exercising, to help stay warm and generate more heat. Another way you can be prepared for whatever winter has in store for us is by making sure your heating system has had the proper annual maintenance. At Family Danz, it’s important to us that our customers are comfortable – and safe. That’s why we’re happy to offer preventive maintenance, which will help ensure your heating system runs effectively and efficiently, even when outdoor temperatures are at their coldest. Just give us a call at 518.427.8685 and we’ll be happy to help you get the maintenance you need. Whether or not we’re ready for it, the time has come when we must again begin to use our furnaces. If you have somehow managed to postpone the inevitable, we salute you, but are also a bit cold just at that thought. While none of us enjoy forking over increased sums of money to the energy companies this time of year, it is a part of life in New England that we must accept. 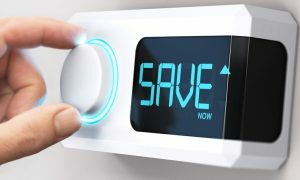 Here we will suggest five simple strategies for reducing your energy consumption (and consequently, your bill) this heating season. Even employing just one strategy will positively impact your wallet so choose those that will work best for your family. Clean your furnace: First and foremost, we suggest scheduling a cleaning for your furnace. This should be done annually and will not only ensure that you are ready when it is time to flip that switch but will also help you prepare for any additional maintenance costs that may be lurking around the corner. We also recommend having spare furnace filters on hand and swapping them out at least once a season (although greater frequency is recommended in a home with pets). Smart Thermostats: While your trusted HVAC professional is at work on your annual furnace maintenance, perhaps they can recommend a smart thermostat. These devices can quickly pay for themselves both monetarily and in terms of convenience as they can be controlled from your mobile device allowing you to never have to get out of bed in a cold house again! Additionally you can monitor the heat in your home while you are out for those days that you’ve forgotten to turn the heat down before leaving for the day or a weekend away. Passive Heating: When it comes to saving money on your heating costs, the sun can be your seasonal best friend. Does your home offer excellent daytime sun exposure? Make the most of this positioning and open your window treatments during the day to allow your home to bask in natural light and slowly warm up. While your furnace takes a rest your bank account will be growing. Cooler Nights: Sleeping in a cooler room is not only good for your financial health but your physical health as well. While you’re saving money sleeping in a colder bedroom your body is benefiting by working harder to stay warm (consequently burning more calories while also putting you into a deeper sleep). Additionally, a colder bedroom helps your body better produce melatonin, which not only helps with sleep quality but also promotes anti-aging. Utilize your Ceiling Fan: Many of us live in homes equipped with ceiling fans but they often sit unused during the winter months just collecting dust. By simply changing the direction of the blades to a clockwise motion helps to trap the heat inside the room with the ceiling fan making it feel warmer. There are a number of simple and often subtle changes that we can make to our homes and in our daily routines that can positively impact both the health of our environment and finances. If you’d like more information on how you can make your home more energy efficient this winter, give Family Danz a call at 518.427.8685, and we will be more than happy to assist you. Preparing for Winter? 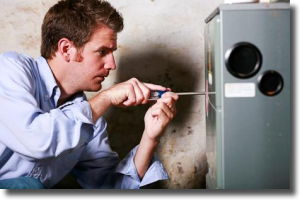 Heating Maintenance is an Important Step! The chilly, rainy days we’ve been experiencing this fall will turn to the white stuff soon enough, and that means it’ll also be time for your furnace to start working overtime. Probably, you’ve already fired up your home’s heating system, and there will undoubtedly be more to come. Have you had your heating system maintained yet this year? If not, you should. When you get annual maintenance for your furnace, you’ll be doing yourself a favor. Maintenance not only helps your heating system operate more effectively and enjoy a longer life, there are other benefits you might not be aware of. Maintaining your system warranty. Too often, homeowners don’t realize that a part of their equipment warranty states that annual maintenance is required in order for the warranty to stay in effect. For you as a homeowner, that’s important. It means if you don’t get the maintenance outlined, the warranty may become void, and you’ll have to cover expenses. Maintaining better indoor air quality. It just stands to reason that when air is being circulated through a dirty system, and being forced through a dirty filter, those particles are going to enter into the air you and your family breathe. Not to mention, the dust, dirt and buildup make it that much harder for your heating system to work. Getting the maintenance you need keeps your system running smoothly – and the air you breathe contaminant-free. Keeping your system efficient. Without heating maintenance, it’s simple – your system will have to work harder, and that will make your utility bills go up. The dirt and buildup in a poorly maintained system keep it from running effectively and efficiently. But, by getting proper maintenance you’ll know you have a clean filter and a cleaned and lubricated system – allowing your system to function at its efficient best. 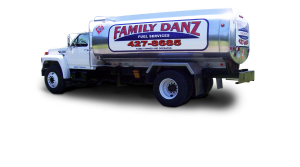 At Family Danz, we’re pleased to provide you with the maintenance you need. Getting the furnace maintenance you need is important, but it’s also as easy as calling Family Danz. Simply contact us at 518.427.8685 and we will be more than happy to assist you. Have you been thinking about installing a new heating system in your home before the cooler weather arrives? There’s no time like the present – right now, Family Danz is offering our Bryant Bonus Heating & Cooling System Special. You can count on us for the best products and installation available, and you can save some significant money in the process. To take advantage of this special, simply fill out our convenient contact form by clicking here. One of our friendly associates will get back to you soon. This offer is almost over – it will only last until November 15th – so take advantage today! Need a Heating Upgrade? Count on Bryant® Home Heating Equipment. Maybe last winter you noticed that your home’s heating system wasn’t operating as efficiently as it did in the past. Utility bills were higher, and your home wasn’t as comfortable as you’d like. Maybe it needed repairs that were costly and inconvenient, or maybe it’s just an old system and you’ve been counting down the days until it finally breaks down. If you’re concerned that last winter was the final one for your home heating system, you might want to consider installing new Bryant® heating equipment. At Family Danz, we provide Bryant to both our residential and commercial clients because we believe it’s among the best home comfort equipment in the industry. As a Bryant Factory Authorized Dealer, we’re committed to bringing you premium Bryant products, installed to perfection by our highly trained technicians. They’ll make sure the job is completed to your 100 percent satisfaction. 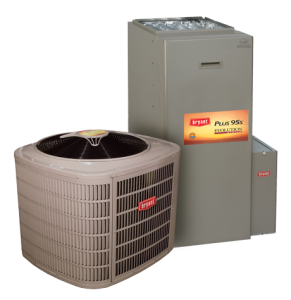 When you choose to upgrade your equipment, we’ll make sure that we discuss all of your options with you, and then provide you with a system that has been sized to heat your home to the utmost effectiveness and efficiency. We offer a number of different Bryant heating products, so we’re sure to find just the right one for your home – and your complete comfort. 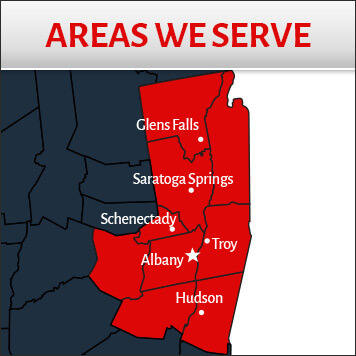 Family Danz is pleased to provide our customers throughout Albany, Schenectady, Saratoga, Troy and the surrounding areas with comprehensive heating services, including professional installation of quality Bryant equipment. If you’d like to learn more about how we can help you enjoy greater comfort – and energy savings – this winter, simply call us at 518.427.8685, and we will be more than happy to assist you. To take advantage of this special, simply fill out our convenient contact form by clicking here. One of our friendly associates will get back to you soon. And remember, you can trust Family Danz for all of your home comfort needs, including heating and cooling maintenance, repair and installation. Can Ductless Heating Help Your Home’s Efficiency? If your home’s heating costs are on the rise this winter, yet your furnace is relatively new and in good shape, there may be other factors in your home that are causing inefficiency. It has been an extremely cold winter so far, and that undoubtedly means you’ve likely been struggling to keep your home as comfortable as you’d like. 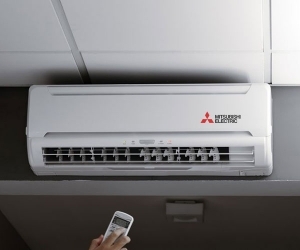 Did you know that ductless heating could help you stay comfortable and maintain better efficiency? Even though it’s been around for some time, many people have never heard of ductless heating. The premise is simple – ductless systems use a heat pump to either heat your home or cool it, without the need for additional ductwork. So for situations where ductwork is either impractical or impossible, a ductless system can save the day. Where can I use ductless heating to improve my home’s energy efficiency? If you install a ductless heating system in your home, that doesn’t mean you should stop using your furnace. The thing to remember is, ductless heating can provide very targeted heating to your home. That means, if you have a space in your home that’s been built on, such as an addition or sun porch, or a space that’s been renovated into living space, like a basement or attached garage. Often, the house’s heating system can’t provide adequate warmth to these spaces, and the home’s HVAC system becomes unbalanced. This is why you may feel cold spots in your home, especially in those new or renovated spaces. Of course, your contractor can provide you with the best answers, but many times ductless heating can help restore the balance – resulting in better comfort and improved energy efficiency. When you’re ready to learn more about how ductless heating can benefit your home, Family Danz Heating & Cooling can help. Simply give us a call at (518) 427-8685. We’ll tell you about the different options for ductless heating and cooling, and help you find the solution that best suits your needs. 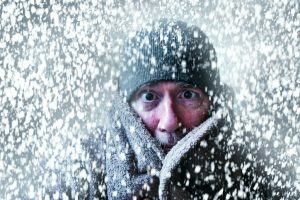 If you’re faced with a heating system emergency, or just need general repairs, Family Danz Heating & Cooling can help. We have been providing heating system repair for more than 30 years, and we’re dedicated to providing you with excellent service and quality repair work on your heating system. Our technicians are factory-certified and will thoroughly evaluate your heating system repair needs and find the best solution to help make your home as comfortable and energy efficient as possible. They’ll arrive at your home on time and able to address any questions or concerns that you may have. 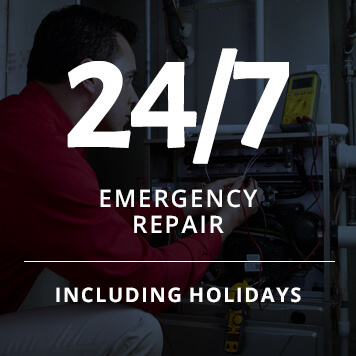 What’s more, Family Danz technicians have access to the most advanced diagnostic equipment, instruments and tools to help resolve your heating system problems more quickly and effectively, saving you time and money. Family Danz Heating & Cooling is ready to assist you. Simply call us at (518) 427-8685 or fill out the form below.